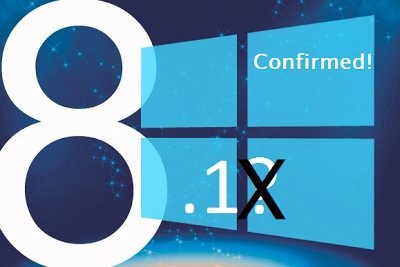 Microsoft confirms Windows Blue is now Windows 8.1! We love to reuse our graphics here at TTF, so you might recognise the one above, this time we've made a few subtle edits to it to reflect the fact that Windows Blue will know officially be known as Windows 8.1. The update was an appallingly badly kept secret anyway, but earlier today Microsoft's Chief Marketing Officer, Tami Reller, confirmed that the update will now be called Windows 8.1. The news came from the JP Morgan's Technology, Media & Telecom Conference, which took place earlier today. A couple of other things were confirmed too: the first of which is that the upgrade will be free and available from your Windows 8 home screen when it goes live and a preview of the new software will be available to you inpatient types on June the 26th when Microsoft's Build 2013 kicks off! At the moment though we don't know much more than that as Reller would only say that the update is due "later in the calendar year," and that Microsoft "know when the holidays are," so it'll be here before Christmas anyway! Reller did also confirm that the new update will land on both full Windows 8 and Windows RT and Reller hinted that there will be smaller tablets on the way, by saying Windows will be perfect for everything from "the smallest tablets" right through to your beastly desktop PCs!